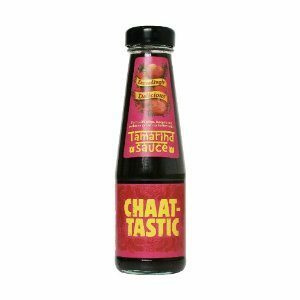 A few weeks ago we received a product to review – “Chaat-tastic Tamarind Sauce“. We gave it a go and here is what we thought. 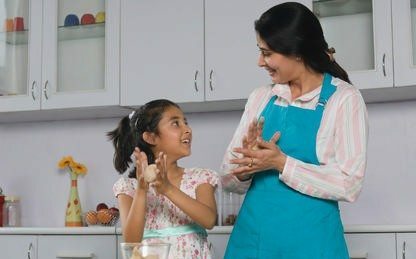 The story of Chaat-tastic is that of a family – the recipe goes back over a century in the Shabi family history where it has been passed down faithfully over the years. Chaat-tastic is obviously a pun – Chaat meaning “taste” in Hindu and “tastic” standing for “fantastic“. So, hopefully, this is a fantastic Tamarind sauce to use with chaats. Unusually this product has been created to satisfy “Western” taste buds as their goal is to “broaden the use of Tamarind sauce beyond its traditional Asian base and make a crossover into the mainstream”. The sauce is said to be “versatile” meaning it should go well with many dishes – BBQ, meat, burgers and some people even suggested with yoghurt and ice cream. Well, we are not convinced by the latter suggestion because non-Asian communities aren’t used to Tamarind sauce on anything – so if their first try is on ice cream it may well be their last. This sauce is convenient for all types of cooking and actually tastes good. 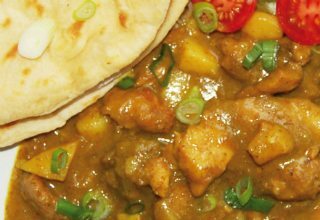 However, we have some reservations, it is a bit too tangy for our taste but we think it could be successful in the non-Asian community as it’s not too hot and goes well with Asian as well as with Western dishes. And last but not least, it is reasonably priced. Give it a try if you’re looking for something different on your next BBQ. NextSucker for a sweet tooth? 1. Restaurant Magazine – trade title for its industry rated Chaat-tastic last Summer as the No.1 number tip for ice cream. Please try it again chilled with chopped banana on straight vanilla. Give Chaat-tastic a good shake too as it has no stabilsers/thickeners. 2. 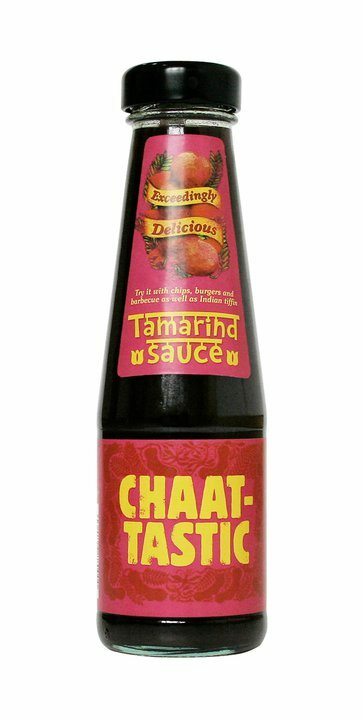 “Non-Asians aren’t used to tamarind sauce” is precisely why we have launched Chaat-tastic. Also, some mainstream brown sauces contain tamarind as does worcestershire sauce. Hence the tangy taste. John Maynard Keynes said “if you find yourself agreeing with everyone else, change your mind”. I’d be interested to know if there’s a more versatile sauce out there. 3. Yes, you’re right to say “it’s not too hot” – in fact, it is totally spice free – just raw tamarind, cane sugar, water and salt. Thanks for you comments but we have to say we don’t remember last summer’s Tamarind sauce with ice cream “craze” so maybe this was a tip too far? Unless some of our readers can tell us different? Two team members have promised to give it a go with banana – we will report back. And are economists big sauce enthusiasts? So, did you try Chaat-tastic chilled with sliced banana and then poured over vanilla ice cream? If so, try the same exercise again with any other non-dessert sauce and see which tastes better? HP sauce contains tamarind too but we’ll save you the trouble, it does not go too well with your favourite soft scoop. PS. BBC Good Food Mag featured Chaat-tastic as one of a handful of “billiant buys” in their May 2012 issue just out. Back to Keynes, while we can’t say for sure if he was a big sauce fan, given he started his career working in the India office of the civil office and then writing papers about the Indian economy suggests he had more than a passing interest in the region. We would imagine he would need to eat at some point too, quite possibly accompanied with sauce on his samosa! Apparently Shruti used it all up so we’ve not given it a go on banana yet, she’s obviously a fan. If we’re having a dessert we tend to aim for the dessert sauces, so it doesn’t seem fair to pick on someone else’s non dessert sauce and then report it tastes bad with a dessert. Having said that peanut butter and jelly is a triumph. You send us the picture of Keynes enjoying some sauce on his grub and we’ll be happy to publish it.